We reported six months ago that the Rhinegold stable of ailing music magazines in London and Manchester was being bought out by the Mark Allen Group, which already owns Gramophone. The sale was finally signed off this week. The magazines being sold are: Classical Music, Choir & Organ, International Piano, Teaching Drama and Music Teacher, as well as the British Music Yearbook, British Music Education Yearbook and Music & Drama Expos in London and Manchester. Allen has also acquired DC Thomson’s stake in Opera Now, which was under licence to Rhinegold. It’s all about volume now, not content. Crumhorn Weekly remains fiercely independent! Kopatchinskaja who is all about herself and precious little for the music she plays bears out the level to which the art form has sunk. It is pop culture mentality that now rules the art or what is left of it. What an odd sideswipe at a great artist. In any era there are only ever a few musicians of world stature who transcend the reliably ordinary: currently Leonskaja is one such among pianists, and PatKop one such among violinists. You may not like her performance of a particular work on a particular evening; you may not like her stage style or her marketing; but to write that this rigorous and dedicated artist cares “precious little for the music she plays” suggests either that you have never seen her play or that you have let your typing run away with you. How does PatKop transcend the “reliably ordinary”? She is a one-trick pony that is reliably tedious. The novelty wears off after five minutes. Sorry, so you have only seen her once, and the “novelty” wore off after the first five minutes of the first work she played? Or does your rhetorical gesture mean you have seen her…how many times exactly?..so that you can make a sinister statement about “reliably tedious”? Can only assume you like typing on blogs more than going to concerts. Or that there is some other agenda here. Ha! Clever title. I was about to say “that happened a long time ago.” But yes, that Age of Print Magazines is over, and the situation isn’t much better for pay-to-read online media either. Too much free stuff out there, blogs and such. Let’s cherish it while we’ve still got it. That is not quite true, since I know that in the January issue of Classical Music a review will be appearing concerning a deeply probing subject. I must admit that when I read the title I thought “good news, a classical music venue managed to sell all their tickets”…then I read the article. 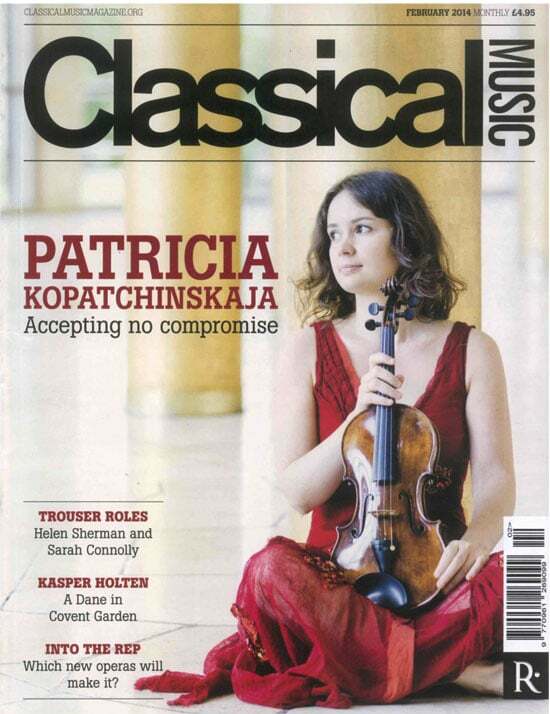 To be honest, I am surprised any classical music magazine sells enough copies to be viable these days. Even main-stream newspapers are struggling, let alone such fripperies as music magazines.